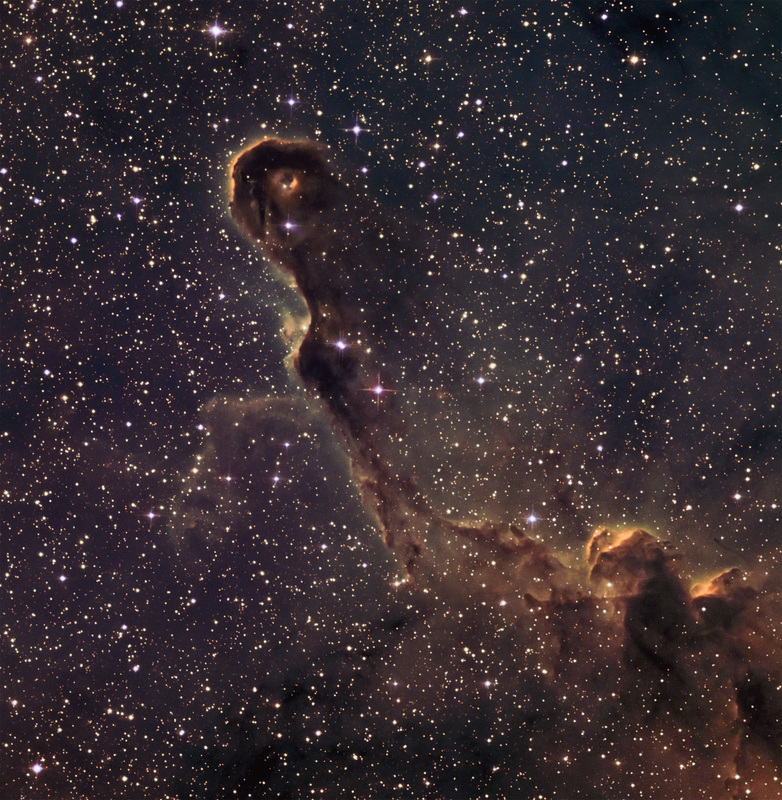 The Elephant’s Trunk, vdB142, lies within the large IC 1396 emission complex. This image was taken with 5 nm Astrodon H-a and SII filters, 3 nm OIII filter and E-Series Generation 2 Tru-Balance RGB filters for star colors. The image is ~35 arcmin square.